Kaden thought he would help me in the kitchen today while I was making my meal swap meals. He got himself all set up on the kitchen floor with my mixer while I cooked away. I am amazed more and more by his imagination. He was making all sorts of things down there- cookies, cookie soup, pizza, you name it, he probably made it. It also seems as though we have a parrot living in our home lately. Anything we say, he says. He doesn't just repeat it after we say it, he remembers it and then says it later on in the appropriate context. I'm amazed at the language development of children. Not only does he say what we say, he loves to DO what we do. Hence, cooking in the kitchen with mommy. I wouldn't trade it for anything, because I know one day he'll have better things to do than cook with mommy in the kitchen. Looks delicious! I believe this was cookie soup. I'm not sure I'd like to try it. Today was my first chance to really play around with my camera since the camera class I took on Wednesday night, and I did some impromptu shooting of Kaden in between lunch and naptime.... hence the messy face and crazy hair. There's just something amazing about capturing close-ups of Kaden's face. I love to capture the joy, the wonder, and the cuteness. This little boy melts my heart with that cute face of his. On another note, Kaden made me proud last night. He prayed all by himself. Don't get me wrong, we pray all of the time, and Kaden does right along with us. But last night, I told him to fold his hands, and he folded his hands, closed his eyes, and said without any prompting, "Dear Jesus, thank you food, Amen." It was precious. It makes me teary-eyed just thinking about it again. If only all parts of playdates looked like this. I couldn't help but grab some quick pictures on my phone to capture these moments. You can guess that they didn't last long at all!!! 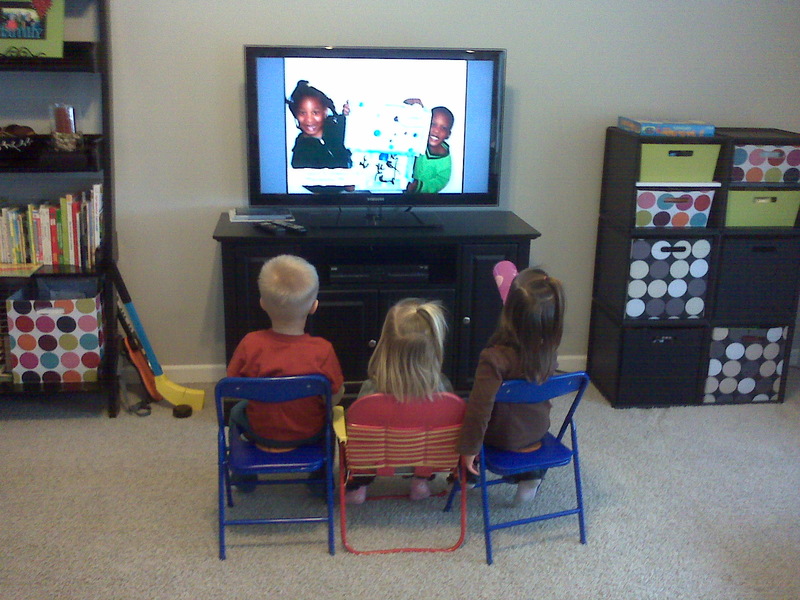 Watching TV before lunch.... Kaden and his ladies. Andy says it would be cuter if Kaden was in the middle with his arms around Carley and Lauren. Going to Riviera Maya, Mexico(1 hr from Cancun), was the best idea I've had in awhile. Relaxing on a beach chair with a book of no educational value while sipping a Bahama Mama was exactly what the Dr. ordered.... almost literally. My ankle got better and better each day. It's still not 100%, and I'm wobbling around a bit, but I'm hoping we're in the upswing on that one. I was pushed through the airport in GR and Cancun on the way there (which by the way was a definite perk going through security and customs! 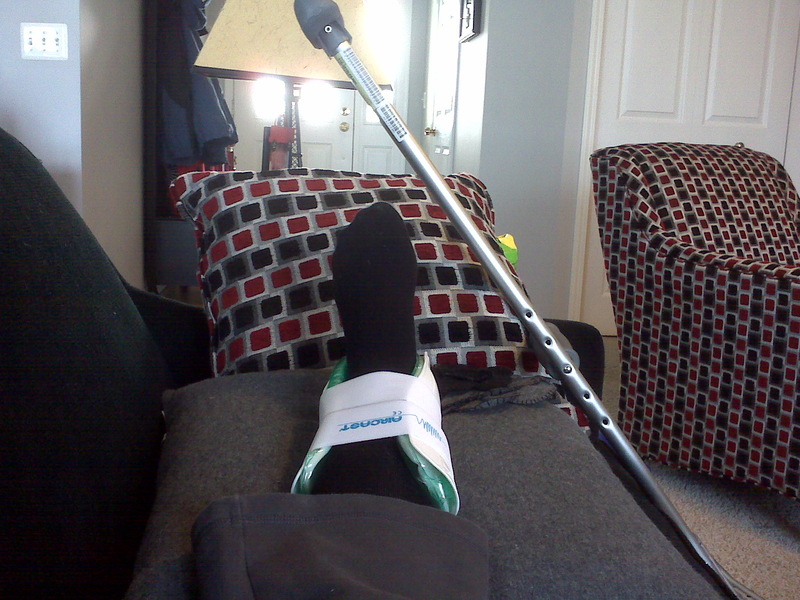 ), and hobbled my way around the resort wearing my cast the rest of the time. Our room was near the elevator, and the restaurants and adult pool were in close proximity to that so I was able to walk to each place. I got really sick of being pushed in a wheelchair on the first day and determined after that NOT to use it! :) Despite some cool and rainy weather on the first couple of days, the weather stayed gorgeous and in the 80's each day after that. It was SO nice to sleep in, not be on too much of a schedule, relax, get some sun, and spend time with just my hubby! It's crazy how the days here at home seem to fly by, and become filled with the mundane tasks of life. Dinner conversations get interrupted by a crabby child who throws his food at you, conversations after bedtime consist of what our plans are for the next day, etc... you know how it goes if you have little kids! So, it was just so nice and refreshing to take a break from it all. Of course we missed our little man like crazy and found ourselves talking about him all of the time during our dinner conversations anyway! :) Our little man was spoiled by his grandpa and grandma, and we are SO thankful they were willing to fly out for the week to take care of him. Thank you thank you thank you, Mom and Dad!! Now it's back to the grind. Laundry. Snow. Schedules. Work. I'm feeling a bit down about all of that at the moment. I've been feeling physically under the weather the past couple of days, and now my finger won't bend. No idea if it is tied to my little spill a week and a half ago, but it always seems to be something with me lately. I'm hoping that getting back into the routine of working again (2nd semester is just around the corner- ah!!!) and schedules will help pick me back up. Snowy days don't seem to help that either! I'm taking it a day at a time and reminding myself to savor those moments with my little man because soon I won't be able to spend as much time with him! Enjoy a few (okay, maybe more than a few) pictures from our trip! Balloons were everywhere- not just on the bed. Round 1 of many. Delightful. Our room- looking from the balcony to the door. The room was awesome!!! More room. Andy is enjoying watching episode after episode of The Soprano's. Lovely. Andy had a little mishap and messed up his toe. He wasn't too happy about the bruise on his self-acclaimed beautiful feet. I think someone is out to get us with all of these injuries!!! Had to document the cast and the wheelchair. One day I'll laugh about it. Enjoying dinner at the Italian restaurant, Portofino. This was one of many restaurants there we could choose from- all inclusive is the best! Gotta' love the stereotypical swan on the bed. Mexican dinner on the beach. It was amazingly delicious (if there is such a thing), except for the hair I kept eating because it was so windy!! Dophin Discovery. We took a little walk into "town" one night and snuck a peak at the dolphins swimming. Adult pool and bar where we spent our week. It was so quiet and relaxing on that side of the resort! A little blurry, but we wanted to capture the moon shining on the ocean. Andy says it doesn't get much better than that. El Patio restaurant- my personal favorite. Maybe it's because I love Mexican food. No, it's because of the ambiance. It was amazing. See the picture below. These lanterns were beautiful. The building was a large dome hut, with these ball lanterns hanging from the ceiling. I loved it! I guess it's not a complete experience until you wear nasty sombreros on your head and take a picture. Picture by the resort sign before we left. Too bad my camera lens was foggy after transitioning from the air-conditioned room to the humid outdoors. Darn. This lovely sight is what I get to stare at all day long. My crutches resting against the couch, my ankle in a cast, elevated to reduce the swelling. Not exactly how I pictured the week before my vacation. Most of you already know the story from Facebook, but the long story short.... I fell down a flight of stairs at Calvin on Monday afternoon. I basically went down with my legs twisted under me, using my shins as a snowboard for the way down. Not a pretty sight. Lots of bruising on my legs and on my elbow, and I'm pretty sore. After a whirlwind of going to Urgent Care, then being sent to Med-One because of worker's comp issues, they diagnosed it as a bad sprain. They put my ankle in an air-soft cast and told me to keep it up and use crutches this week. I could get really open and emotional and share how hard it has been, but I won't. I'm trying to look on the bright side. I could have broken something, or cracked my head open on the brick wall at the bottom of the stairwell. I could have to teach this week. I could be a single mom with no family or friends, but I'm not any of those things. The injury is minor in the scheme of things, I have a very flexible schedule right now, and I have wonderful family and friends who are helping out. Are there 100 little things I wanted to get done in preparation for Andy and I leaving for Mexico for 6 days? Yes. Will they still be here when I get back? Yes. Does it matter that my house isn't perfectly clean or all of the laundry and shopping aren't completely done before my parents move in? Not really. Life will go on, I'll have a wonderful time re-cooperating on my beach chair with a margarita in Mexico, and Kaden will have a blast with his Grandpa and Grandma all week. I'm sure some of the details will be hard. I'll have to be pushed around in a wheelchair in the airport, maneuver my way around a resort limping or using crutches, no pedicure, I'll want to wear pants to cover all of the bruises, and I'm sure I'll realize something that I forgot to tell my parents about Kaden's nightly bedtime routine. But, all in all, life will go on. To add insult to injury, Kaden is battling a cough, so we (I mean Andy during his "lunch") took him to the pediatrician to get it checked out. He had pneumonia last year, which makes him more susceptible to getting it again. Thankfully, no pneumonia. We have to use the nebulizer again just to clear him up, but nothing contagious, thank goodness! It's been an emotional week for a lot of reasons, and I'm looking forward to some rest and relaxation. Most of all, I'm thankful that God gives us patience when we need it, strength for all circumstances and the encouragement we need at the exact moment we need it. 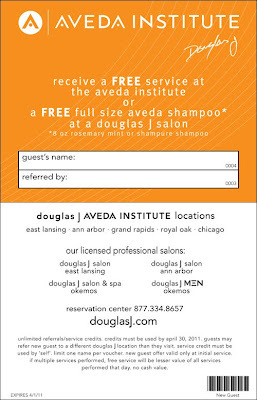 If you haven't been to Douglas J Aveda Institute yet, you should really try their services! This cosmetology school offers great services at reasonable prices. I LOVE getting pedicures there. It's so relaxing, and the best part?!? You get to KEEP the OPI nail polish you pick out. This helps with touching up your nails when you bump into a wall, your child drops a toy on your foot, or, I mean... your socks simply rub it off! :) Anyways, they are offering an AWESOME promotion right now. 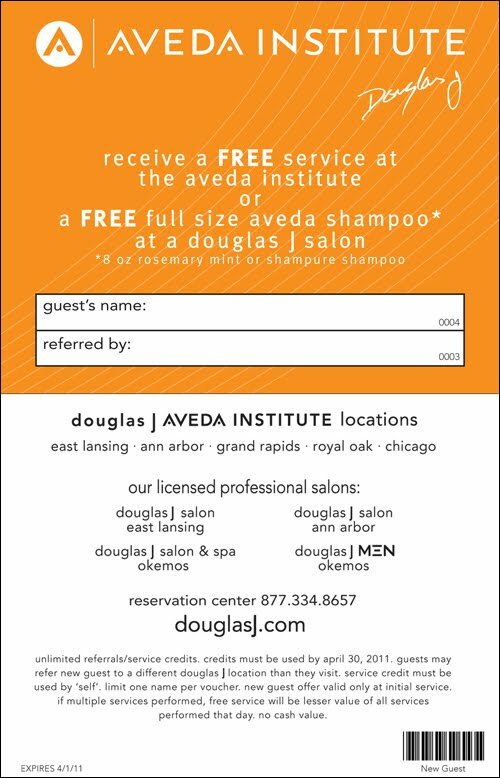 First time guests receive a FREE service of their choice, and if you use my name as a referral, I get a coupon for $5 off my next service, too. Not a bad deal for anyone! Remember, this is only good for first time visitors. If you haven't been there, I'd encourage you to call and make an appointment for a haircut, winter pedicure, etc. and get your FREE royal treatment! All you need to do is print off the coupon voucher above, and write Jen Rysdam in the referred by box. Simple. Let me know if you go and what service you enjoyed! :) Thanks! I took Kaden to the library this morning for the first time, and he LOVED it! I think he was the most interested in the fish on the librarian's desk, all of the different chairs to sit in, the window seat and the water structure in the middle of the library, but he still loved it. I was surprised to see that our library (Wyoming branch of KDL) had an entire toddler wing where toddlers can play and read books. How did I not know about this before?!? I think we'll be scheduling regular trips to the library from now on. Kaden was so excited to take his tote bag that I made him, and he picked out the following books (when prompted with, "What kinds of books do you want, Kaden? 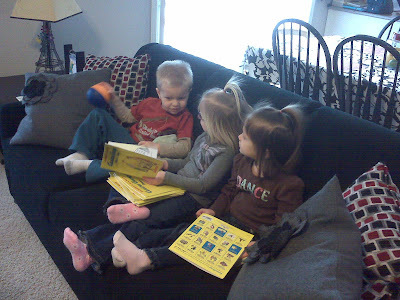 "): Caillou, airplanes, mustangs (for you Grandpa VDH), and fish. Those titles pretty much sum up Kaden at this age! 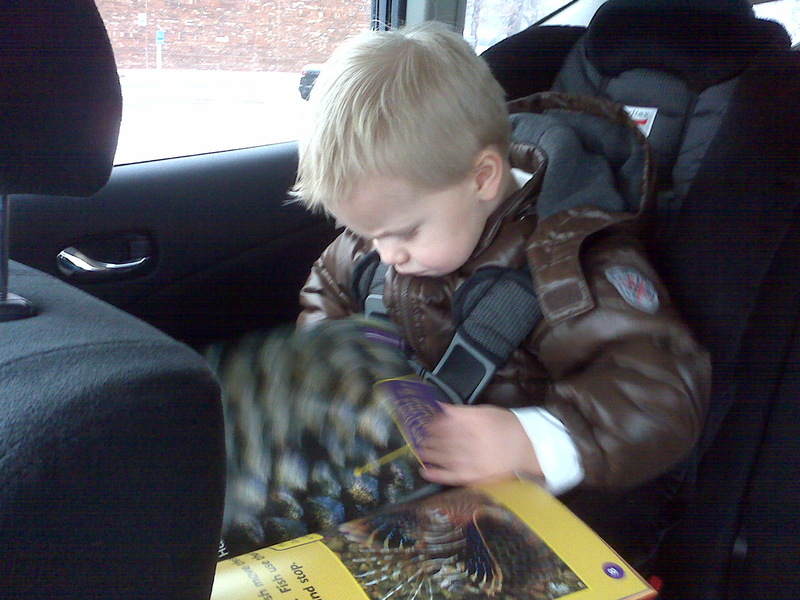 He even figured out how to check out the books all on his own! 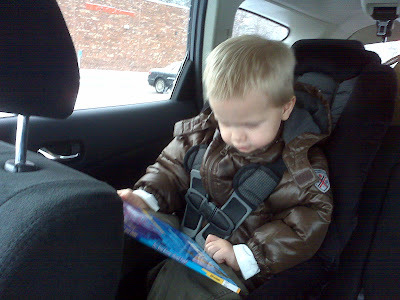 While I didn't have my camera with, I did snap a few pictures (while parked of course) on my phone of Kaden looking at books in the car. He wanted to look at them as soon as he was buckled in. So cute! With a little inspiration from my friend Shelli, I decided to start a new tradition in our family. Each year, on New Year's Day, each member of our family will answer a set of questions. We'll record these answers in a special notebook, and pull it out the following year, answer the same questions again, and compare our answers from before- laughing, or renewing some of the same goals. Andy and I will participate as well, but I won't record those answers here. I thought some people might get a kick out of Kaden's answers. Sense a fishing theme here? I LOVE this new tradition. Thanks for the inspiration, Shelli! While we were in NJ, a major blizzard decided to show up. It was actually kind of nice watching the snow fall, knowing that we didn't have anywhere we had to be and could just relax and enjoy the snow. Of course we didn't have any snow stuff with us for Kaden, but considering they got almost 2 ft of snow, it probably would have been a bit difficult for Kaden to play in it anyhow! :) Since the snow slowed us down from everything we hoped to do in NJ, we decided to stay a few extra days and ended up driving back to MI during the day on Thursday, Dec. 30. Kaden did SO well in the car ride back (thank goodness for a portable DVD player! ), which may have been due to the fact that he was fighting a cold. Needless to say, all went well and we had such a fun time! Check out all of that snow! Brian attempting to snow blow. Believe it or not, the night before the blizzard came, he was hoping to snow because he was excited about snowblowing. 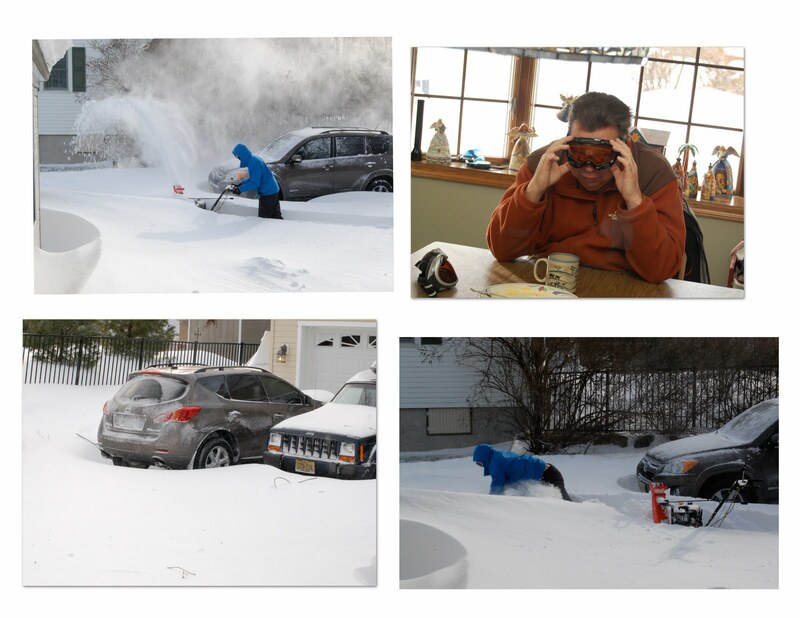 Brian trying to clear a path for the snowblower, Dad trying on the snow goggles, and our car stuck in the driveway! Kaden was mesmerized by the snow. He just sat by the window and watched it fall. It was precious. When we got back to MI, we were hoping for some snow to play in, but no such luck. 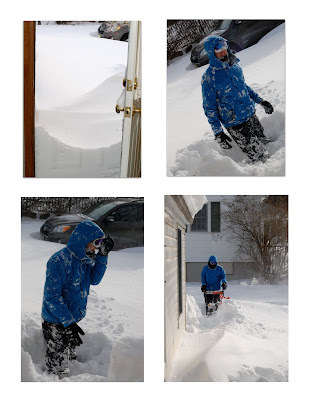 Thankfully it snowed here this week, so Kaden and I went outside after his nap to shovel the driveway and play in the snow. Of course he had to wear his play safety goggles so he could be like Uncle Brian. It was hilarious. He LOVED being outside making snow angels and helping me shovel. He didn't want to come inside, but I lured him with hot chocolate, which of course after tasting it said it was yucky. Guess I can't use that trick again, huh? Maybe next time we'll add marshmallows. Cheese! Those goggles crack me up. 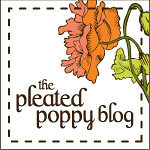 Welcome to our family blog! Andy & I met in college, and we've been married for 10 years now. 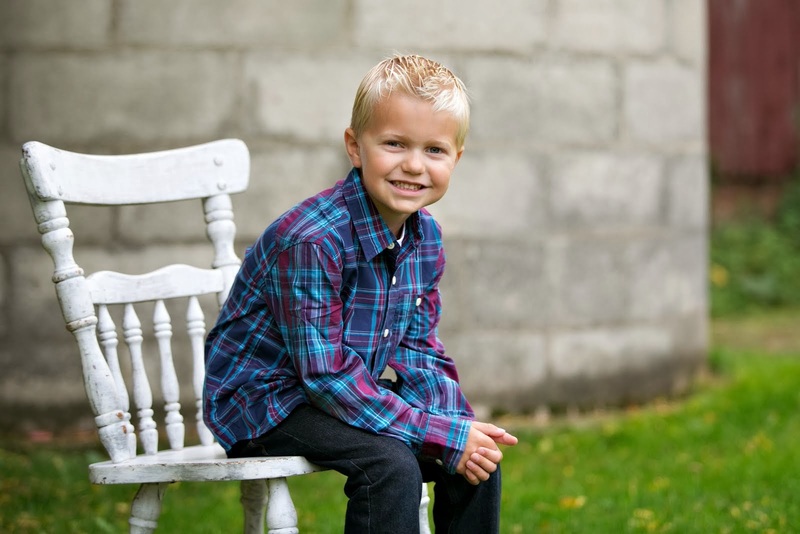 God blessed us with Kaden Benjamin on July 11, 2008. 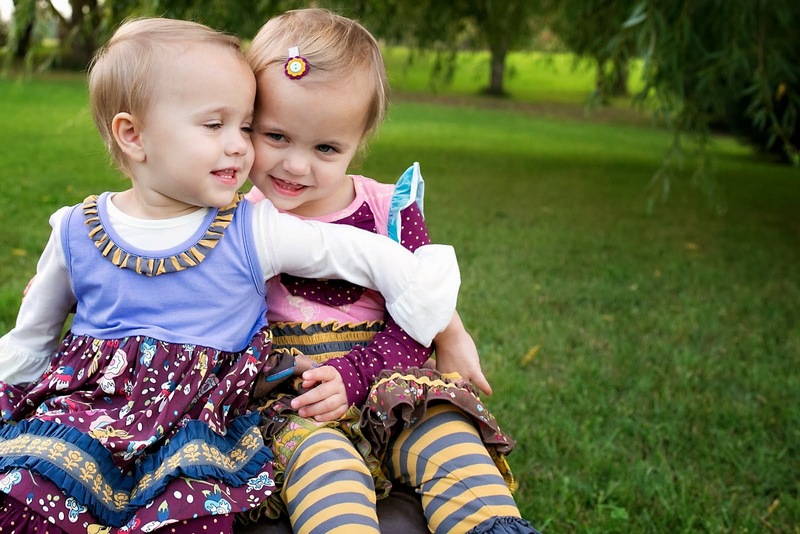 Our twin girls, Maya Grace and Makenna Anne, were born on September 29, 2011, and we are enjoying every moment with them as a family of 5! Andy works in finance, and Jen is working as a literacy consultant. A day in the life with 2! A "few" things have happend!! Embracing life's moments, and giving honor to God.